Today friend of the blog Mike Wolfer (whom I've interviewed not just once, but twice!) 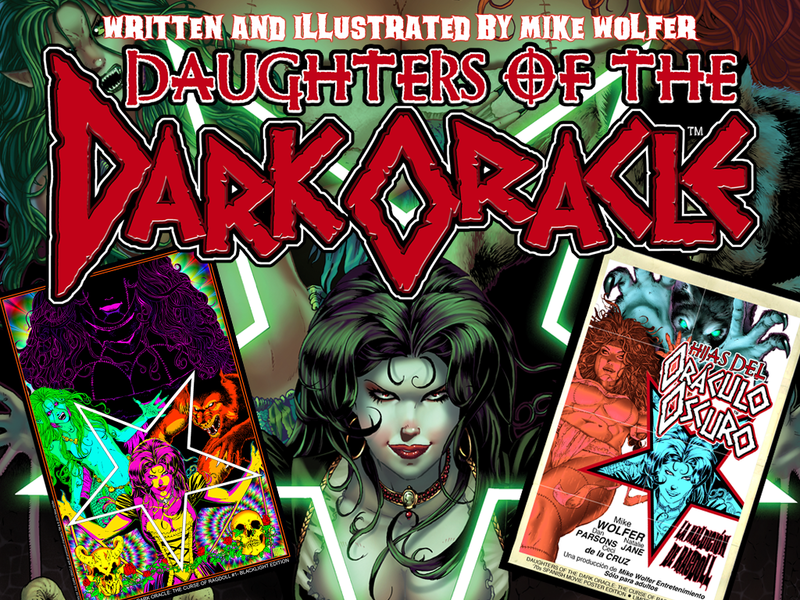 has launched his latest Kickstarter for a project he calls, "Daughters of the Dark Oracle." A new series he will be taking to print, it features his character Ragdoll and other horror-monsters engaging in an assortment of adventures. The earliest issues will reprint his, "Ragdoll" comic of which I was a big fan with an all new prologue and be followed by other new stories that have werewolves, mermaids, and of course vampires--because almost all good horror-stories need vampires, I myself think. You can check out the Kickstarter here, it looks pretty snazzy!